Realfood Organics Probiotic Daily Powder takes our whole food philosophy and combines it with probiotics and prebiotics to provide you added digestive support. 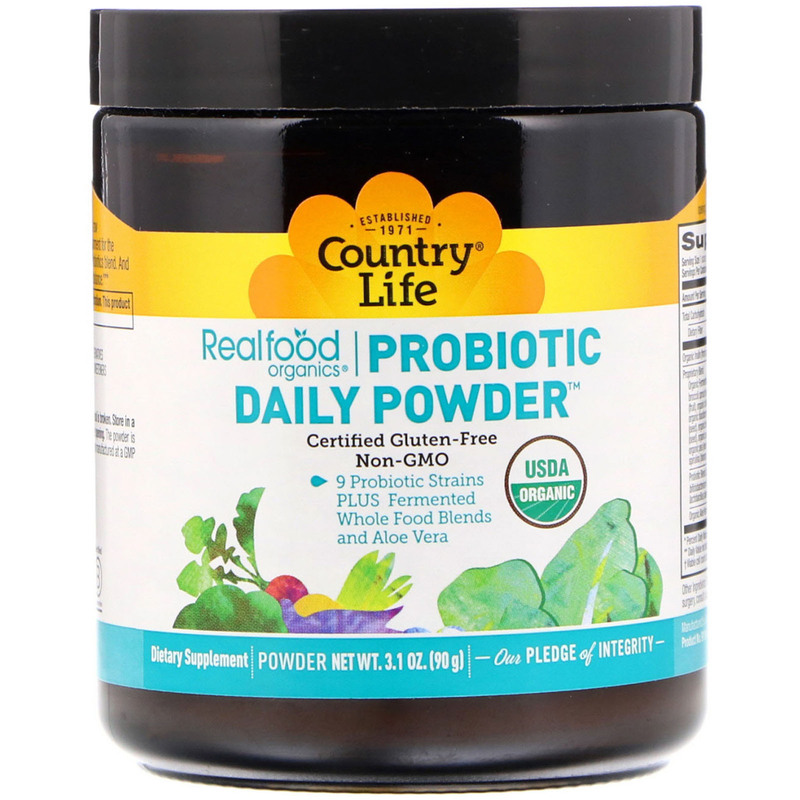 Made from over 20 raw fruits and vegetables, this food blend provides a naturally nourishing environment for the probiotic cells. Nine different strains of probiotics are included in our Probiotics blend. 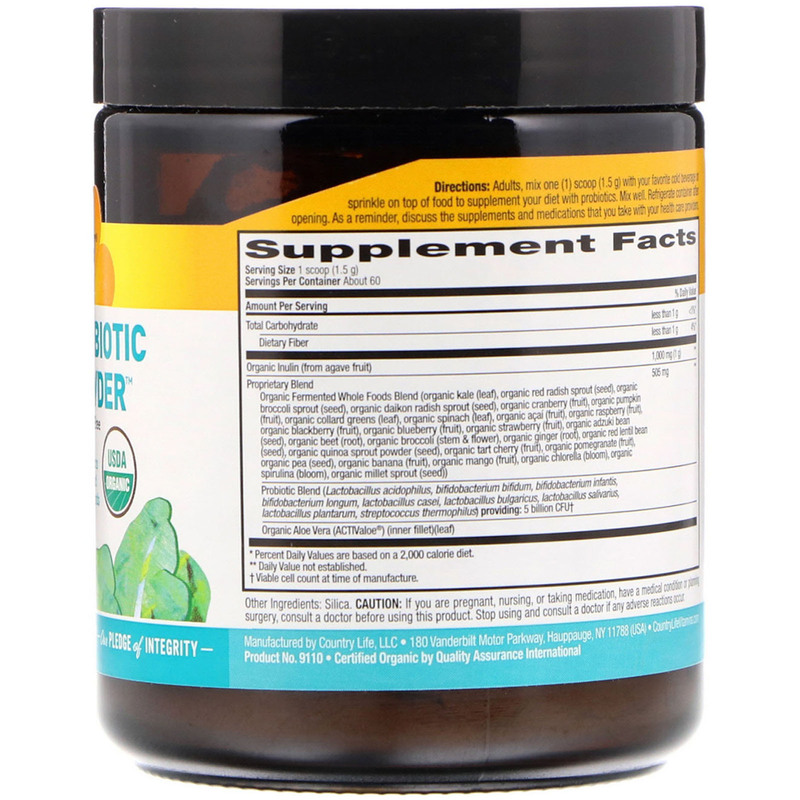 And with the inclusion of organic inulin, this prebiotic helps support microflora balance. Adults, mix one (1) scoop (1.5 g) with your favorite cold beverage or sprinkle on top of food to supplement your diet with probiotics. Mix well. Refrigerate container after opening. As a reminder, discuss the supplements and medications that you take with your health care providers. Yes certified organic by QAI. No corn, wheat, soy, milk or preservatives. No artificial colors, flavors or sweetners. Caution: If you are pregnant, nursing or taking medication, have a medical condition or planning surgery, consult a doctor before using this product. Stop using and consult a doctor if any adverse reactions occur. Do not accept if seal is broken. Store in a dry place between 59º-86º F. Keep out of the reach of children. This powder is packaged in an amber glass bottle to protect it from heat and light. †Viable cell count at time of manufacture.